By euflyer in Other Airlines, Other Hotels on July 25, 2017 . Anyone looking to maximise their miles, points or travel value will be presented with a massive array of tips, tricks, deals, loyalty schemes, credit cards, airlines, hotel chains, blogs etc. While what works best for you is obviously very, very subjective, here is our updated list of what we consider to be 10 of the very best ways of maximising the value you get from your travel. Some of the tips might be well known to you already, but we’d like to think that whether you’re a novice or a seasoned traveller, there’s something in our list that will be of interest or use to everyone. This tip takes age old advice, but goes even further. The age old advice? 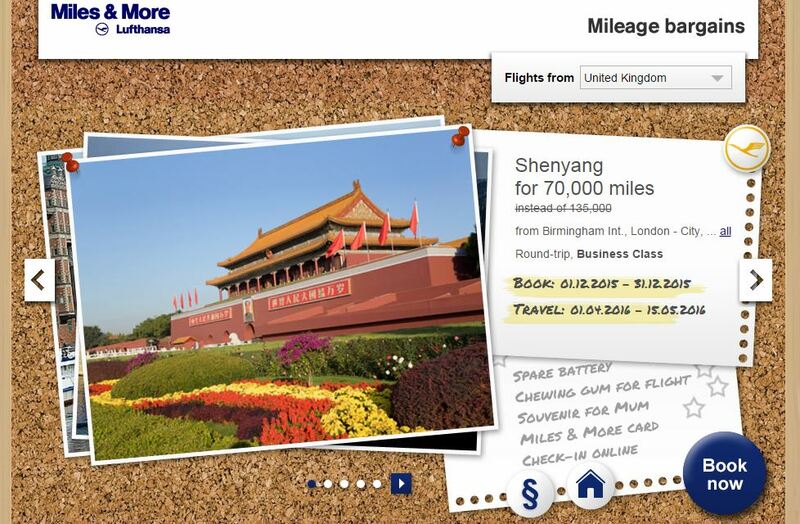 Using your air miles for Business Class flights. Given that you will always end up paying several hundred pounds in taxes and fees on a redemption flight (i.e. even an Economy one), you will invariably find that, as a result, you are much better off redeeming your miles on a high value Business Class flight, where the amount of cash you pay is relatively low compared to the value of the ticket. 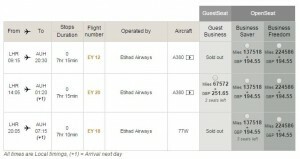 The monthly set of Lufthansa short and long-haul flights, offered at around 50% of the miles ordinarily required. 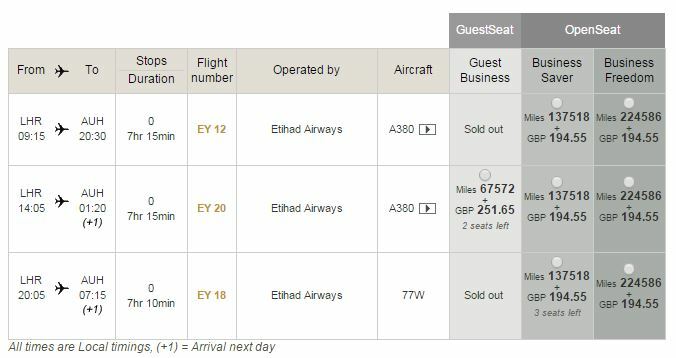 As you can see, 67,572 miles plus £251.65 for a Business Class flight from Heathrow to Abu Dhabi is excellent value, and noticeably better value than the OpenSeat option of 137,518 miles plus £194.55. Another classic tool for the frequent traveller, but often overlooked, is the British Airways American Express Card. Spend £10,000 on the Premium Plus card (£20,000 on the standard card) in a year, and you’ll get a reward flight “companion voucher”. The companion voucher entitles you to one “free” redemption flight when you pay for one with Avios – you will however need to pay the taxes and fees on both flights. Here is a little tip on getting the companion voucher most cost-effectively. Put simply, the companion voucher enables you to redeem your Avios stash in any class, and then get an identical second reward ticket without spending a single additional Avios. When used wisely, this can save you a massive amount of Avios and secure a pair of top value redemption flights with British Airways. It is free for the first year, and you can cancel without quibble at the end of this year. If you spend £2,000 on it in your first 3 months, you will get 20,000 Membership Rewards points. These convert to 20,000 air miles in a number of schemes, including Avios. 20,000 Avios will get you a return flight from the UK to, for example, Moscow, Istanbul and Malta. You get two free executive lounge visits each year with the card. If you want to earn 22,000 bonus points (rather than 20,000), sign up to the card via this link. You might not expect a supermarket loyalty scheme to feature in a “top 10 travel tips” list, but there’s a very good reason for this: very cheap Avios and Virgin Flying Club miles. 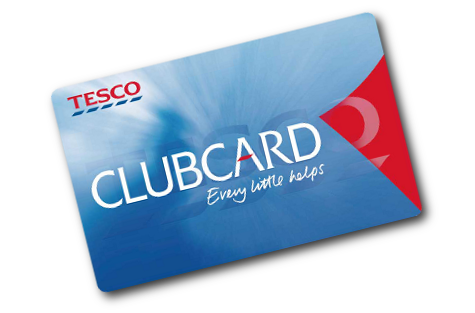 Tesco Clubcard points can be converted to British Airways Avios Points at a rate of 1 Clubcard Point to 2.4 Avios. The smallest amount you can convert is £2.50 (250 Clubcard Points), which gets you 600 Avios. For Virgin Flying Club, the rate is slightly more generous, with 1 Clubcard Point converting to 2.5 Flying Club Miles. For £2.50 of Vouchers (250 Clubcard Points), you will therefore receive 625 FC Miles. Putting a value on frequent flyer miles is extremely subjective, but you really want to be trying to get at least 1 pence worth of value per Avios/Mile, which means that by converting your Clubcard Points to BAEC or Flying Club, you should (conservatively) receive 2.4x or 2.5x face value respectively. As noted at tip 1 above, one of the major issues with redemption flights is the notorious “taxes and fees” hit. There are few things more dispiriting in the loyalty traveller game than finally redeeming your hard-earned frequent flyer miles, only to find that you’re also having to pay substantial amounts of hard cash to cover taxes, fees, fuel surcharges etc. 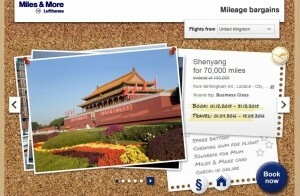 That’s what makes the BA Reward Flight Saver (RFS) such great value. 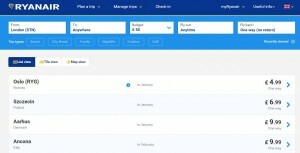 Put simply, RFS applies to Avios reward flight bookings on British Airways flights of 2,000 miles (in distance) or less: so essentially it applies to intra-Europe flights. 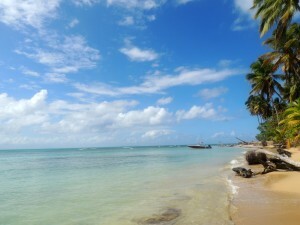 It rather wonderfully caps all taxes and fees at £35 return for Economy Class and £50 return in Business Class. 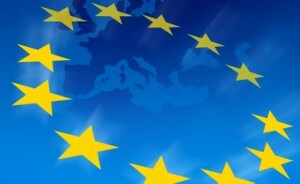 RFS will therefore apply to your BA reward flights booked both through Avios.com and the BA Executive Club. One “advanced” tip: RFS is not a fixed £35/£50 for returns, that figure is actually 2 x £17.50/£25 for each leg. As such, given that taxes on inbound UK flights (i.e. your return flight) can be extremely low, you may be better off booking the outward flight using RFS and the inward flight with the full tax (if it is lower than £17.50/£25, which it may well be). This will of course require you to make 2 separate one-way bookings. Elite status fast-tracks are a great way to get valuable status with hotel chains without having to meet the sometimes exhausting stay requirements otherwise required. To fast track to Hilton Gold, you can sign up via the “valued partner” link here. You will be enrolled in a Hilton HHonors Gold Status fast-track scheme, which will grant you Gold status if you make four stays at a Hilton hotel within 90 days of signing up for this offer. Hilton HHonors also offers a great Gold status fast-track offer to Accenture employees only, that also gives you the substantial side-benefit of free instant Silver status. To benefit, you need to enter your HHonors details (or sign up if you are not already a member) here, and provide your Accenture email address. The other fast track status challenge worth shouting about is the Starwood Preferred Guest option. Ordinarily, SPG Platinum status requires you to make a substantial 25 eligible stays or stay 50 eligible nights in a calendar year. However, the SPG Platinum Challenge gives you SPG Platinum status if you stay just 18 paid nights in a 90 day period (and for the challenge purposes, a stay does not include award/Cash & Points bookings, or bookings made through third party websites (e.g. hotels.com)). Alternatively, the Gold challenge requires you to stay 9 paid nights in an 18 day period. To take advantage of the SPG Platinum Challenge, SPG members need to call the relevant SPG telephone number to be enrolled, or you can email platinum.liaison@starwoodhotels.com. You should, however, be aware that the Platinum Challenge can’t be requested by members who have been Platinum within the last 5 years, and the same applies to the Gold challenge. What are the benefits of SPG Platinum Status? Three Starpoints for every U.S. dollar spent on eligible stays — a 50% bonus over Preferred. Your choice of welcome gift upon arrival — choose from bonus Starpoints, continental breakfast or local amenity. An upgrade to best available room at check-in — including a Standard Suite. Complimentary in-room, premium Internet access. Complimentary health-club, Club-level and Executive-level access. Guaranteed room availability when your room is booked by 3 p.m., 72+ hours prior to arrival. Marriott Rewards Gold Elite, via the easy status match. We are massive fans of topcashback.co.uk at InsideFlyer UK, and it’s a key weapon in the arsenal of anyone looking to keep their travel spend down to a minimum. It is of course free to use, and to the extent you use it for things you would have bought anyway, it is probably as close to free money as you’ll ever get. 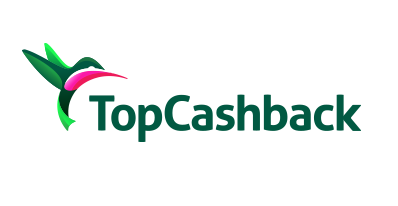 Finally, we are delighted to announce that we’ve partnered with TopCashback to offer new members a very healthy 1,250 Avios, simply when you spend £10+ at any retailer on the site..
With its Air Passenger Duty and expensive landing slots, flying from the UK often results in a number of costs being added to the price of your ticket. The solution? Leave the country. Qatar flights from Scandinavia are one of the very best ways to secure a non-UK bargain, but there are numerous other options, including BA flights starting in Dublin. The savings don’t merely apply to cash flights either, you can save a small fortune in taxes and fees on, for example, your Avios reward bookings by redeeming with Iberia from Spain or Airberlin from Germany (with the latter, you need to book via BA Executive Club). I am frequently asked what the best value hotel points redemption options are. Two obvious answers are IHG PointBreaks (see Tip 9) and SPG Category 1/2 weekend stays, which can be extremely good value (see further below). There’s no time limit or other restrictions on these redemptions, save the standard rules on the rooms being subject to reward availability. Year-round, you can get a night at any of the former Hilton Category 1 hotels for a wonderfully low 5,000 HHonors points. Bear in mind that Hilton Gold members (get fast-track here) will get breakfast for free, so you’re getting a night and breakfast for the 5,000 points. 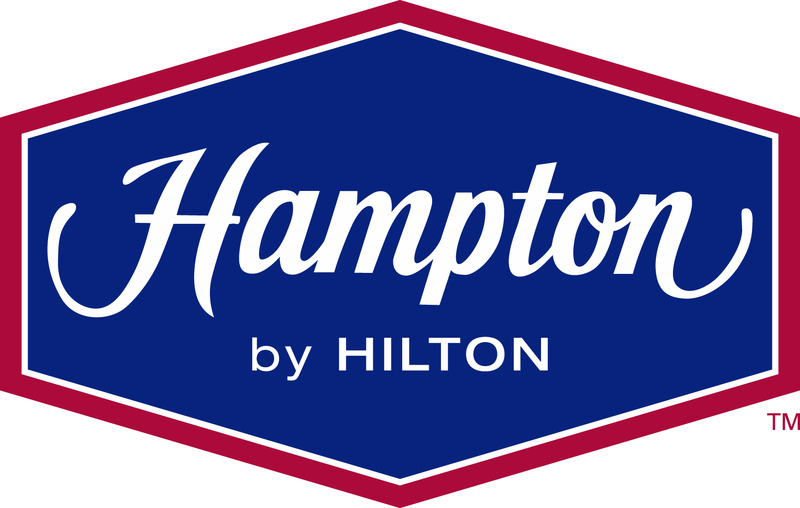 Plus, a lot of the former Category 1 hotels are Hampton by Hiltons, which include free breakfast for everyone, even on reward stays. A night in a Hilton, with breakfast, for 5,000 Hilton HHonors points? That really is value. 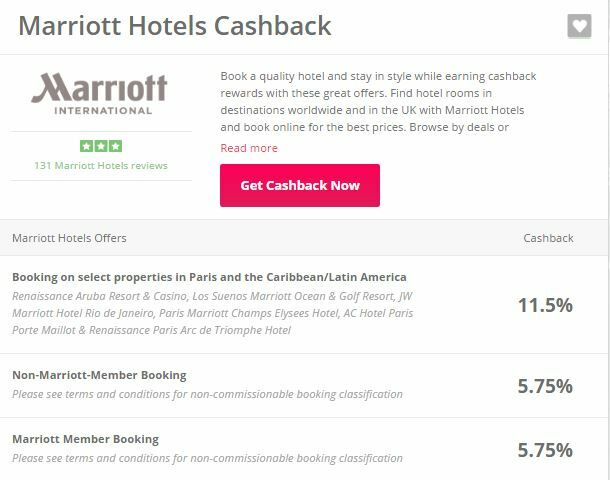 Elsewhere, it’s always worth pointing out what excellent value can be found by making a points redemption at Starwood hotels’ Category 1 or 2 hotels (i.e. their “lower end” hotels). As you can see, there is a substantial jump from Category 1/2 hotels to Category 3 hotels. In fact, you can stay at Category 1/2 hotels and barely make a dent in your Starpoints balance. As you can see, you’ll also save an additional 1000 Starpoints if you stay at the weekend (Friday or Saturday night). So where are these hotels? If you’re not currently a member of Starwood Hotels’ Starwood Preferred Guest scheme, you can join for free, here. 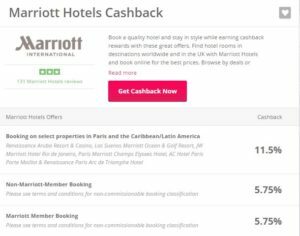 Intercontinental Hotels Group (IHG) quarterly PointBreaks require a mere 5000 IHG Rewards Club points per night, and are widely regarded as one of the very best value “miles and points” redemption options available. The global list of participating hotels is here. It’s rarely the most glamorous list of hotels, but for 5000 points a night it remains a great deal. Availability is limited, so the key with PointBreaks is to jump on it as soon as the list is released and if you see a hotel that works for you, book it – you will almost certainly have bagged a bargain. Clearly, if you’re not already a member of IHG Rewards Club, then this offer won’t be much use to you. However, you can join here and then participate in future PointBreaks, should you have racked up enough points. Yes, we have done it. A top 10 insider travel tips list includes Ryanair on it. After gently hanging our heads in shame, let’s move on to why: the fantastic Ryanair fare finder. One of my preferred exercises is to put in an “anywhere, any date” search from London, just to see what (sometimes comically) low fares are available. It’s great for impulse flying too – as you can see, the Oslo example above is certainly competitive at £4.99. However, even where you need to be substantially more prescriptive on dates, destinations etc, this is still a great way to see the very lowest fare available to you, and often indicates that, with a little bit of flexibility, you can save a lot. Disagree? Have a better tip? Livid at the Ryanair inclusion? Feel free to discuss the above or your own in the comments below. We are very open to the debate! kent on When does Hilton HHonors elite status begin, and how long does it last? 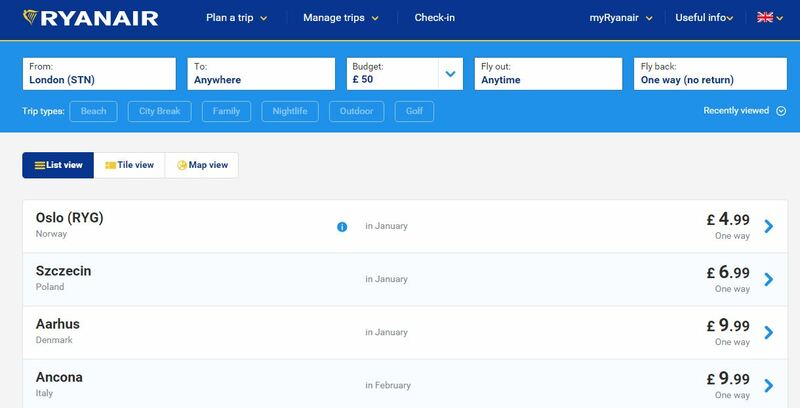 Maciej Koprowski on Ryanair now accepts Paypal. Don’t use it.